This is actually a cute one, I never take it as bad guy.. Where can I get one of those? Amazon? Not at all a bad guy. I agree with The Doctor on this one: they’re children and can’t help where they came from. It’s The Matron who’s evil. But gross, gross, gross! And for me that takes away from the cute. But if you wish to purchase them, they’re available at Amazon, Barnes & Noble (where the Kid got hers) and I believe Think Geek and similar places. 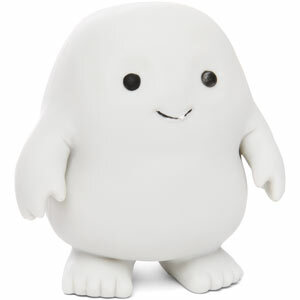 Search for “Adipose Stress Toy” and you’ll find them. And now I’m off to check out your blog. Thanks, I will try on Amazon first.